You are probably wondering: why on earth should I learn how to skin a fish when I can buy it already skinned from the grocery store? 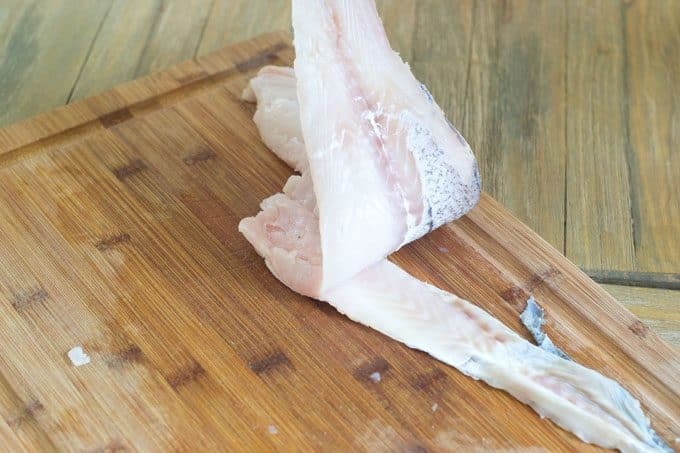 Actually, some fish fillets come with the skin still on. 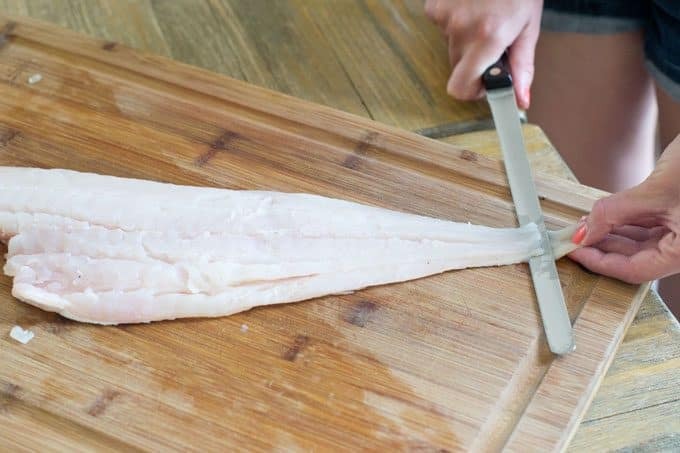 This can be wonderful if you’re pan-frying the fish (without breading) because the skin gets nice and crispy and so delicious. But if you’re planning to bread the fish or bake it, then the skin does not get crisp and is instead soggy and pretty gross. You need to get it off! So if the best-looking fish at the store, or the fillets that are on sale, have the skin on but you weren’t planning to pan-fry, don’t worry. You can get that skin off lickety-split. Just follow the instructions below. 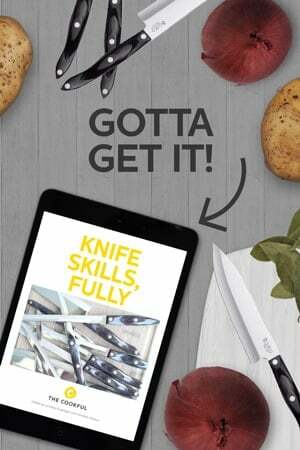 Start with a clean cutting board and a salmon knife. 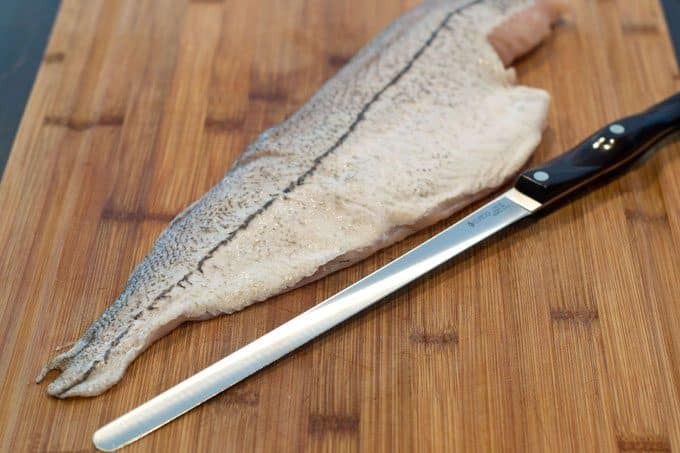 It’s thin blade works great to cut the flesh from the skin of fish. Grab the tail end of the fish and make a small angled cut through the flesh but not through the skin. 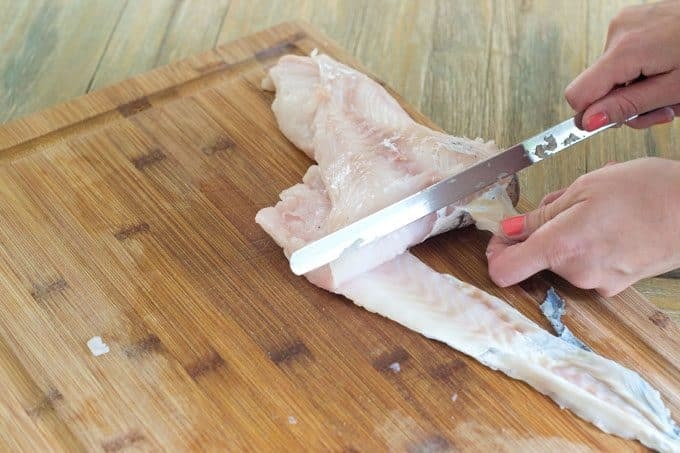 Hold the fish tight with your hand while you gently move your knife through the fish. Sometimes your knife may slip and you miss a part of the skin, that’s okay! 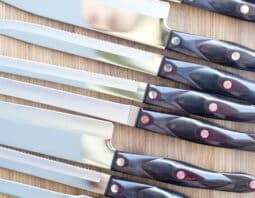 Run the blade of your knife under the skin to loosen and hold tight with your hand. 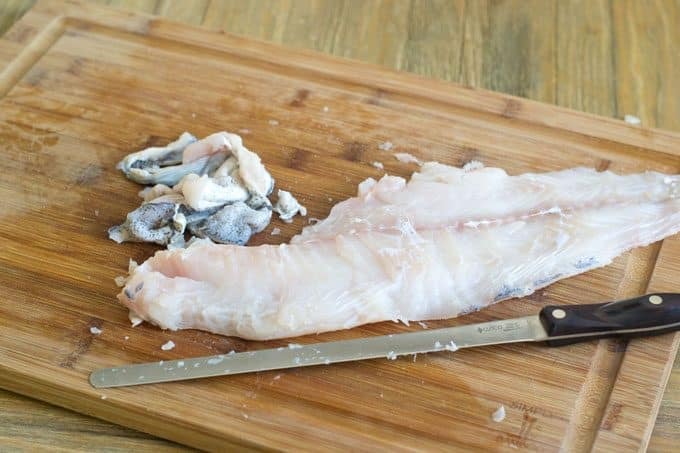 Remove the skin from the fish entirely. Use in your recipe as directed. 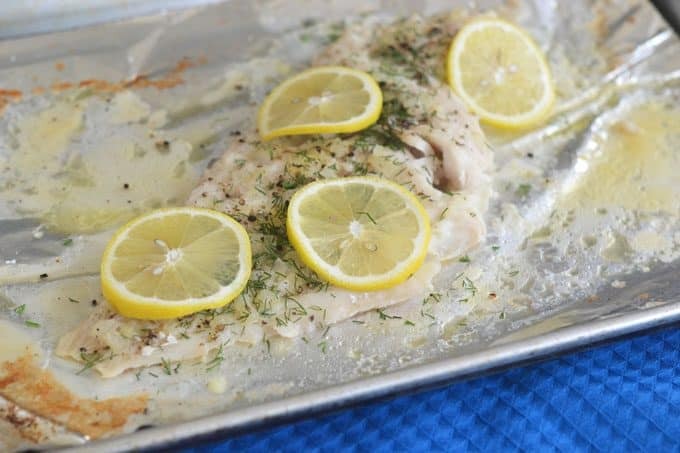 Place your fish on the cutting board. Grab the tail end of the fish and make a small angled cut through the flesh but not through the skin. 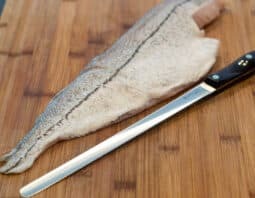 Slide the knife along the skin, not cutting through it but separating it from the flesh of the fish as you slide down. 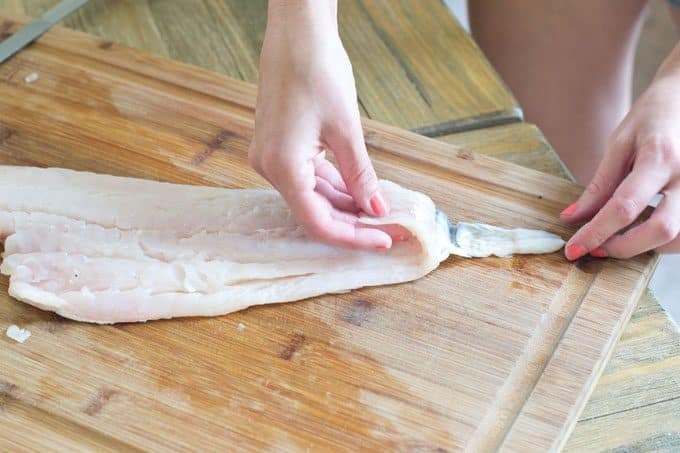 Remove the skin from the fish entirely. Use in recipe as directed.